Just because Christmas is over (phew) doesn’t mean you have to stop celebrating, right? Down here in the Southern Hemisphere it’s hot and bright and the heartily-warm comfort-food style Christmas desserts sometimes just don’t cut it on a breezy summer afternoon; we turn to our summer favourite, Pavlova… with a twist. Classics and favourites exist like fairytales, we love them and bring them out time and time again to the delight of our wide-eyed guests. But once in a while a slight nudge in an unexpected direction reignites the passion and is as welcome as that summer breeze after a hot December day. 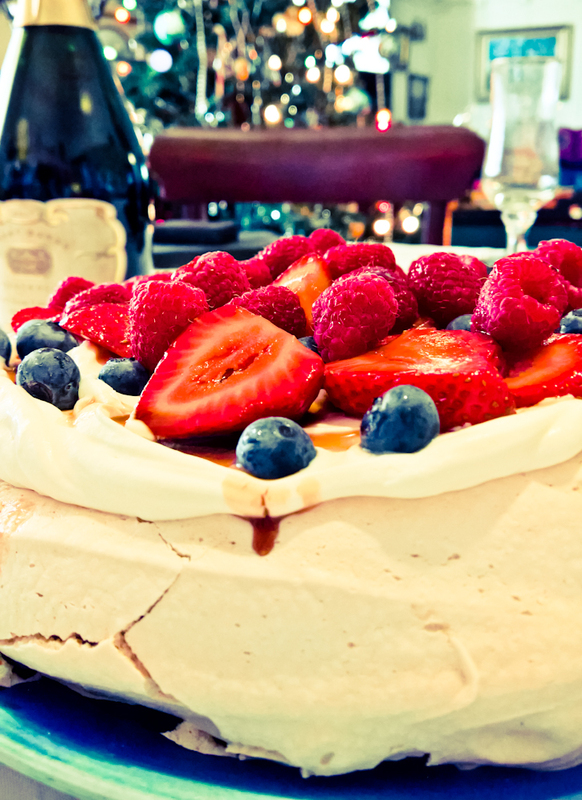 It’s certainly clear that Pavlova is by far the fairest of them all, but who wants fair all the time! I’ve posted about Pav before and this recipe is based on the classic. All that is required is a tweak, to the sugar and the vinegar. The addition of the golden brown sugar and dark vinegar transforms this classic from snow white to wicked queen but still maintains all the goodness. 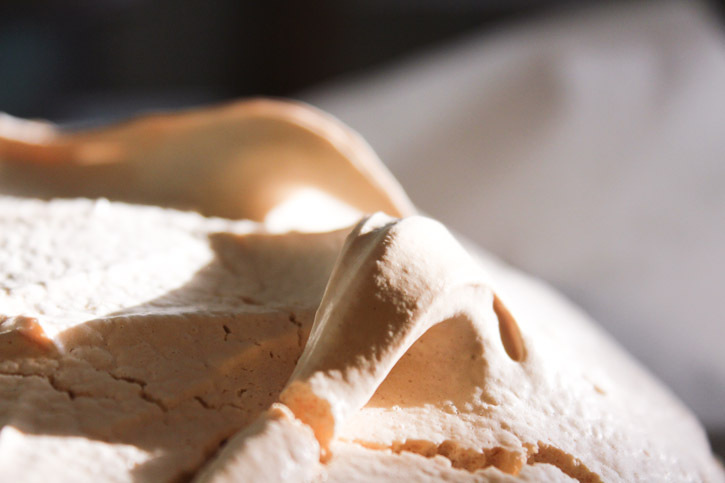 Begin with the basic Pavlova recipe based on Stephanie Alexander’s from The Cook’s Companion. Preheat your oven to 180c. Beat the egg whites with the salt until soft peaks form. Add the golden sugar a little at a time and beat until shiny and stiff (and no longer gritty). Add the vanilla, balsamic vinegar and cornflour and gently fold into the mixture until combined. 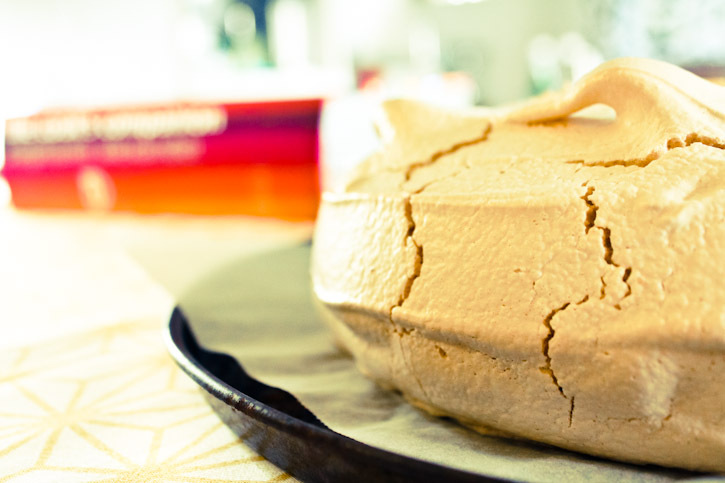 Transfer the glossy and wickedly-tinted meringue onto a prepared baking tray lined with greaseproof paper. Gently flatten the mound a little and smooth out the sides. Don’t worry too much about the look of it at this point as you’ll invert this one after cooking. Two hours before you’re planning to serve, place the chopped strawberries, additional sugar and balsamic vinegar into a bowl and mix well to coat. Allow the fruit to steep in the vinegar mixture for at least 2 hours, longer if you have the time. This magically transforms the berries into a new taste sensation and transforms the vinegar into a delicious syrup. 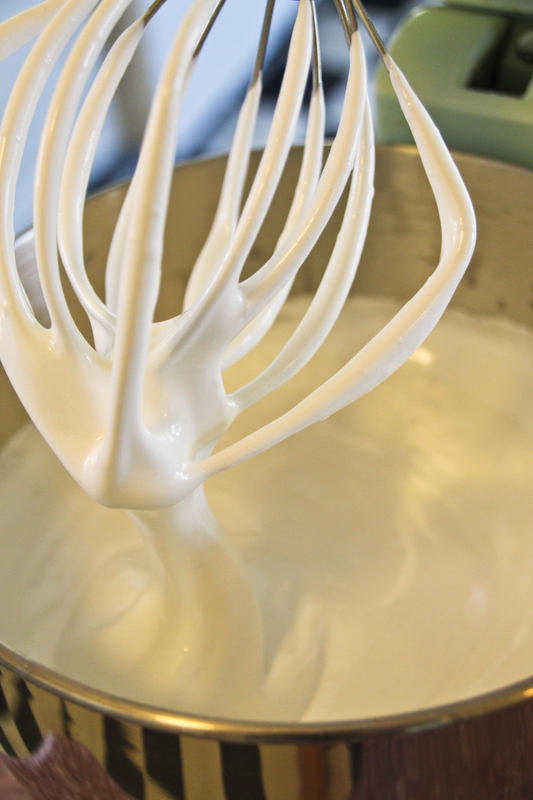 Whip the cream to soft peaks and dollop onto the meringue base. Arrange the marinated strawberries on top, followed by the other berries. Drizzle the reserved vinegar syrup over the fruit for a delightful twist on the original. If it’s terribly hot, pop the Pav back into the fridge for 30 minutes to chill. Enjoy with an evening breeze and a dip in the nearest pool.